IISIS is dedicated to disseminating evidence of reincarnation and the past life research of Ian Stevenson, MD world-wide, to creating a more peaceful world through the understanding that we can change religion, nationality and ethnic affiliation from one lifetime to another, and to promote a greater understanding of the purpose of reincarnation, as well as the nature of spirit beings and the spiritual realms. Upcoming events that are focused on these topics are listed below. Please join us at these gatherings to help us create a network of individuals who can help promote a more advanced spiritual awareness on our planet. I am very happy to announce that I will be a speaker at the 2015 Parliament of the World's Religions convention, which draws 10,000 to 15,000 people and occurs October 15-19, 2015, in Salt Lake City, Utah. The way that I was invited to speak at this event was quite unexpected. Buff Parry, who is leading an Indigenous People's Program Special Panel Presentation entitled, Nez Perce Chief Joseph's Holy Medicine Bag, asked me to participate. 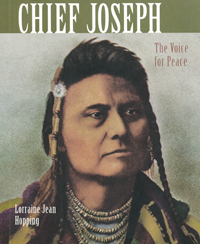 I have to admit that I had never heard of Chief Joseph before, but this prompted me to learn about him. I found that that government of the United States treated the Native American Nez Perce in an abhorrent way. The leader of the Nez Perce during this difficult time in their history was Chief Joseph, who repeatedly tried to broker peace, so that the Nez Perce and Caucasian settlers could live together in peace, but to no avail. The connection is that Buff revealed that the Nez Perce believed in a form of reincarnation. I am also happy to relate that Buff has agreed to serve on the IISIS Advisory Board. I also thank Lewis Cardinal, a Trustee of the Parliament, who is the organizer of the Parliament's Indigenous People's Program. Our panel will take place on Saturday, October 17, 2015, 8:30 AM to 12:30 PM in Hall J of the Salt Palace. Please join us if you can. I am also happy to relate that Barbro Karlen, Wayne Peterson and I will be presenting at the National Communications Association (NCA) annual conference in Las Vegas. Our sponsor is our IISIS Board Member Mary Fong, PhD, who is a Professor of Communication Studies at California State University in San Bernadino. NCA members consist of academics and professionals in Communication Studies and their annul conventions draw 6,000 to 8,000 people. Mary teaches courses on Spiritual Communication, which is branch of Communication Studies. We have taken out full page ads in the program guides of both of these conferences, which means that approximately 20,000 people from the mainstream will be introduced to the work of Ian Stevenson, MD of the University of Virginia, evidence of reincarnation and IISIS. IISIS Board Member Robert Snow Appears on Katie Couric's TV show, Katie, to Discuss his Past Life as Carroll Beckwith. Brian Weiss & Carol Bowman Also Featured! Robert Snow unexpectedly discovered a past life through a regression. His story is featured in his book, Looking for Carroll Beckwith, and in Born Again: International Edition (2011), by Walter Semkiw, MD. Videos regarding Bob's story are featured on the IISIS website. Katie airs at 3 PM Eastern Time on ABC. Check your local listings for to see when it airs in your area. Our most hearty congratulations to Bob!! Entrance is on Marinship Way, across from Mollie Stone’s food market. Academy shares the building with FedEx. Academy is at the south end on the second floor with two entrance stairs marked Building B and C.
Parking in our adjacent two parking lots marked Building B and C. These parking lots have stairs that lead directly up to our entrance door on the second floor at Suite 290. Street parking on Marinship Way is also available. At our ARE San Jose event, Wayne Peterson, a retired US Diplomat and former Director of the Fulbright Program, will describe three of his past lifetimes, which are featured in Walter's book, Born Again. Mr. Peterson will also discuss his personal experiences with advanced spirit beings, including Maitreya, who is the same entity written about by Benjamin Creme of Share International. Wayne's magical encounters are described in his book, Extraordinary Times, Extraordinary Beings. Please check your local listings to confirm program times and tune in to show your support. This first episode is a pilot and it is hoped that a series will follow. IISIS International Board Members will convened at the 4th World Congress for RegressionTherapy (WCRT4), which took take place October, 20-22, 2011 in Kusadasi, Turkey. Walter Semkiw, MD, did a presentation on "Advances in Reincarnation Research, with Cases from Turkey." For more information, go to: 4thWorld Congress for Regression Therapists (WCRT4).